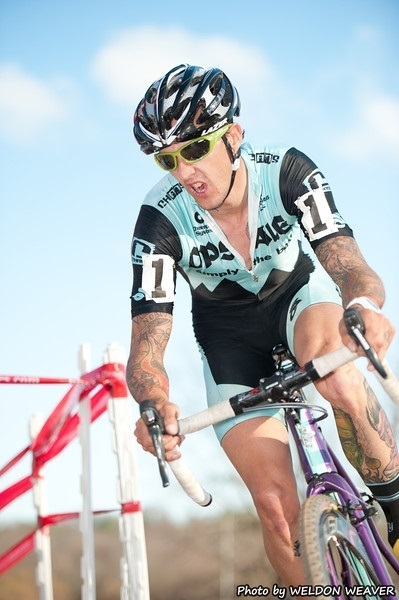 Day 2 of the Hunter SUBARU North Carolina Grand Prix presented by Liberty Bicycles marked repeat victories for Ben Berden (Ops Ale – Stoemper) and Chloe Forsman (Race Club 11). Berden drove the field to a fast start today. He took the whole shot on the long paved road and attacked immediately. Leading from whistle to the wire, is an old familiar place for Berden. “When I was younger I was used to riding in the front. But when you’re getting older, there are young guys to take that position and you just follow and go from one place to the other. Racing for the victory is always different than chasing somebody.” Said Berden. The men’s podium was identical to day 1, with Brian Matter (Team Geargrinder) of Sheboygan, WI in second and Travis Livermon (Smart Stop/Mock Orange pb Ridley) of Winterville, NC battling the contenders for third.Chloe Forsman celebrated her second USICX win in as many days. “I definitely wanted to improve on my start from yesterday. The first two laps, Nicki was riding with me and definitely pushing me around the corners. I was trying to drop her in the corners and I couldn’t. So, I realized my strategy – I’d have to just pin-it again on that long hill on the backside. It worked yesterday and it worked again today – just a lap later. And once you get a gap on this course it’s fast enough that it’s fairly easy to sustain. You just have to go out of the saddle as much as possible. And on that flat road section I just accelerate – give it 10-15 seconds all out and try to maintain my speed.” Said Forsman. “I’m pretty excited. It feels good. It’s a great way to end the cyclocross season for me.” She’ll begin preparing for mountain bike season soon. Nicole Thiemann (Team Cystic Fibrosis) of Philadelphia, PA took second once again and Meghan Korol (Bob’s Red Mill) from Asheville, NC moved up to third place.